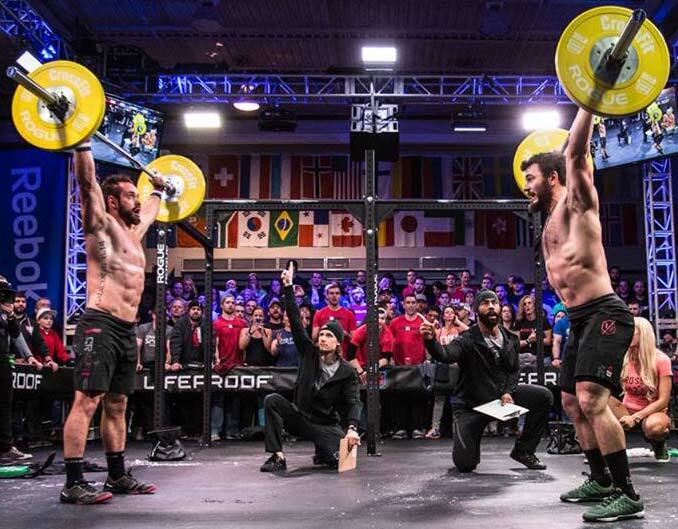 If you watched the Crossfit Open Workout 15.1 live announcement you saw Mat Fraser take on reigning champion Rich Froning. Now if you’re as big a fan of crossfit gear as we are you may have been wondering what they were wearing. Well, Fraser was wearing Reebok Nano 4.0’s in silvery green and Reebok Speed Short 75 in black. 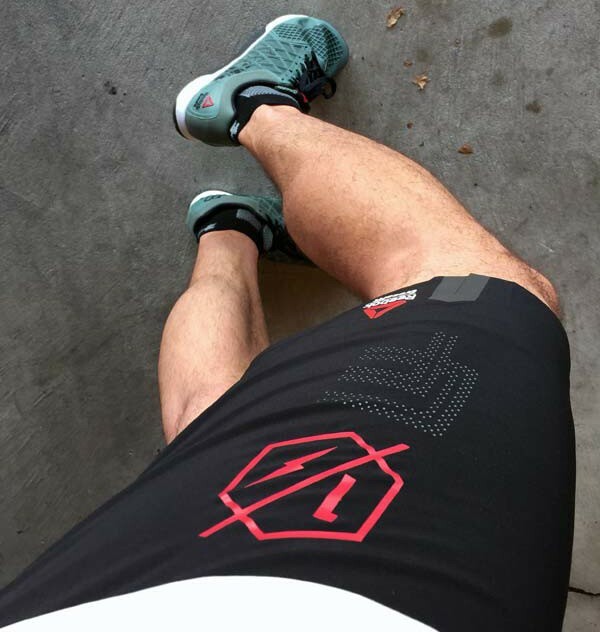 Froning was wearing his new Reebok Compete 6:14 shoe with the same Reebok Speed Short. We decided, why not copy Fraser, and wear the same shoes and shorts as him. Unfortunately we didn’t beat Froning either. You have to figure if Mat Fraser is choosing to wear the Nano’s and Speed Shorts for the workout that they’d also be the best choice for you. I definitely think this is true. The Nano’s are light, which is a nice to have for the toes-to-bar. They’re also good as a lifting shoe, with a stable heel that works for the deadlifts and snatches. They’re also more comfortable than a heavy lifting shoe, which would wear on you in a 15 minute workout. Considering the weight is rather light, the toughest part of the workout for most people is the toes-to-bar. That’s where the Nano becomes preferred over a lifting shoe. 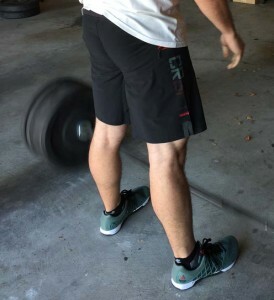 We think there are several good models of Reebok crossfit shorts that would work for Open Workout 15.1. Mat Fraser likely picked these shorts because they are very lightweight yet more on the comfortable side, which is key in a 15 minute workout. The little bit of elasticity is really nice in the short. They can be a little more form fitting, but because of the elastane, you don’t notice that they’re a little tighter to the body. Unrelated to the workout, the pocket can come in really handy to store a pair of keys, and has a zipper so you don’t have to worry about losing your keys when upside down walking on your hands. Order the Reebok Nano 4.0 NOW! Reebok Nano 2.0 Crossfit Shoes on SALE!